Welcome to the Book Lovers List! I love books. I love them so much that I regularly try my hand at writing more of them. Many of the people who read my books and blog really love books too, and let’s face it: we’re always looking for another great book recommendation. 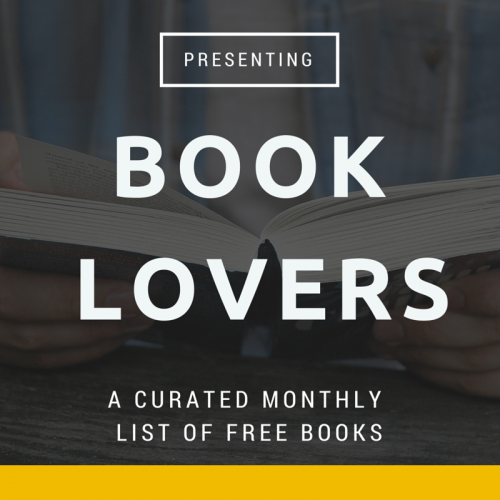 What if you received an email offering a curated list of free books? What if the only catch was asking for a 2-3 sentence review? That’s exactly what I’m offering in email list for book lovers. Free eBook files of my latest book releases. Opportunities to review books that I’ve hand-picked for you. Once you sign up, each email will make it easy to order any book you like. There’s no obligation to read any of the books if they aren’t up your alley. We only ask that you post a 2-3 sentence review on top sites like Amazon and Goodreads when you’re done reading any books you request. Reviews are becoming one of the most important assets for authors, and just taking a few minutes to post a review is extremely helpful for any author. Also make sure to note in the review that you received a free copy! *Print books available only to continental US and Canada residents.